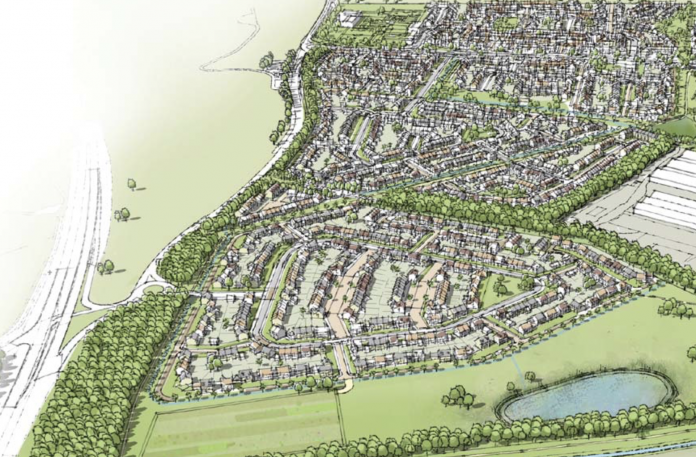 Plans for a phased residential development providing up to 1,800 homes on land south of Fernwood, Nottinghamshire, have been approved by Newark and Sherwood District Council. The 93.6 hectare site comprises of agricultural land with nine fields. Persimmon Homes is behind the plans. A document released ahead of the planning meeting says: “This planning application represents an opportunity to deliver one of the Council’s allocated Strategic Urban Extension sites. “The delivery of housing, in this case promoted by a national housebuilder is a significant material planning consideration. That said it is equally necessary to ensure that an acceptable form of development takes place, including required mitigation. “A development of this scale will inevitably have impacts and will inevitably change the existing character of the location. However, it does not follow that a significant change must equate to unacceptable harm. “Following extensive negotiations the Local Planning Authority is satisfied that subject to conditions and an appropriate S106 Agreement, appropriate mitigation can be secured which makes the development acceptable in overall terms.